Both sexes fully winged. Body and legs brown, tarsi and fore tibiae paler; antennal segments III–IV and most of V yellow; fore wing brown. Head slightly wider than long; three pairs of ocellar setae present, pair III shorter than diameter of one ocellus, arising within anterior margins of triangle; postocular setae pair I present or absent, pair IV shorter than diameter of hind ocellus. Antennae 8-segmented; segments III–IV with forked sensorium. Pronotum with anteromarginal and anteroangular setae scarcely longer than discal setae, 2 pairs of posteroangulars long; one pair of minor setae medially between posteromarginal submedian setae. 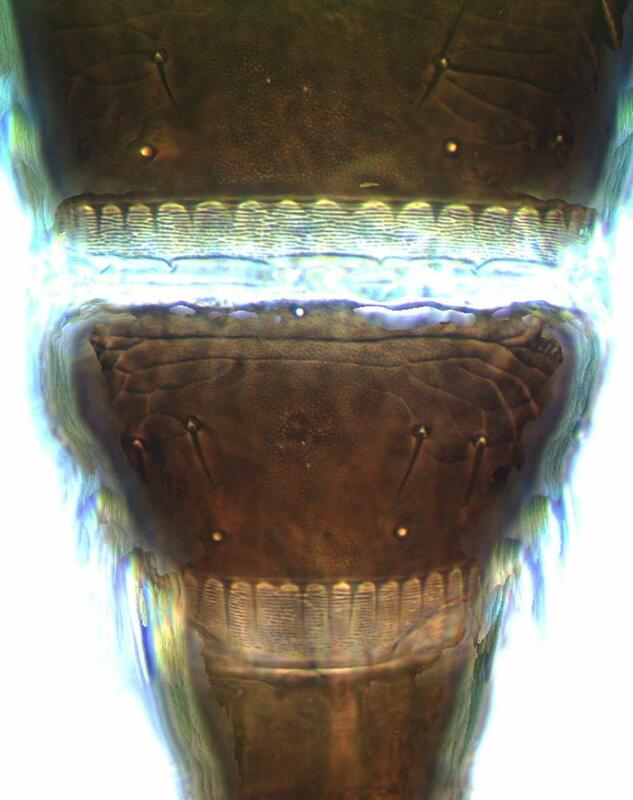 Metanotum with 2 pairs of setae close to anterior margin, campaniform sensilla present. Fore wing with 2 complete rows of veinal setae. Abdominal tergites V–VIII with paired ctenidia, tergite IV with weak ctenidia, VIII with ctenidia anterolateral to spiracle; posteromarginal comb on VIII with long, slender microtrichia on triangular bases, tergite VII with triangular lobes. 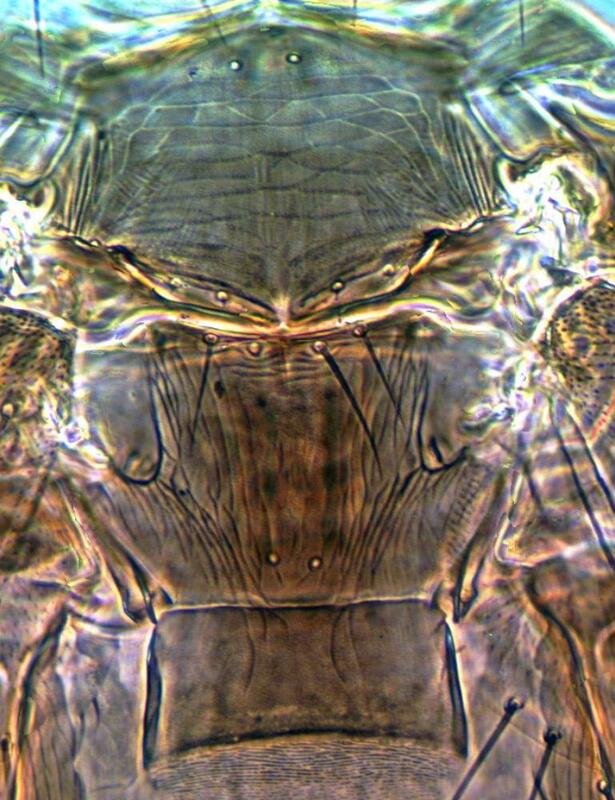 Sternites III–VII without discal setae. Male smaller than female; tergite VIII with complete posteromarginal comb; sternites III–VII with transverse pore plate. 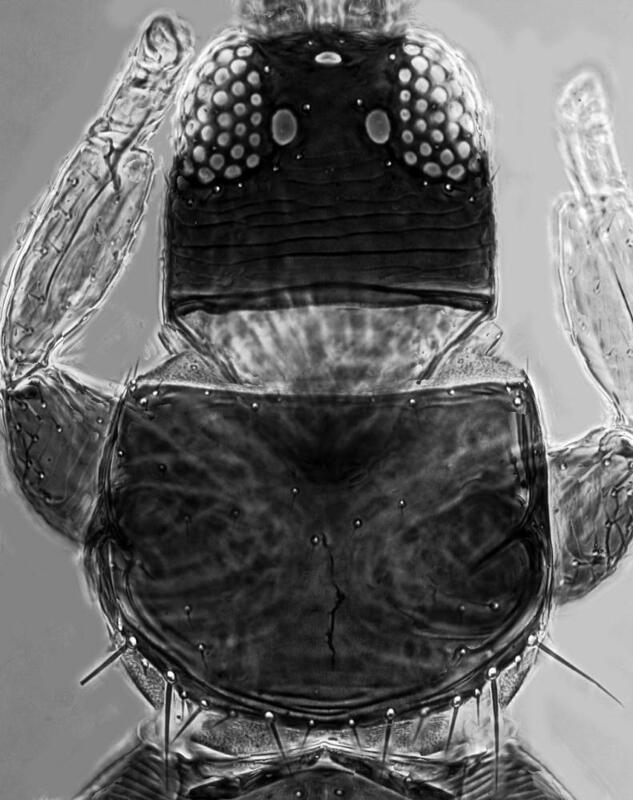 Specimens from California that have been studied (UCR 66-251, 60-287), and that were identified and listed as F. davidsoni by Sakimura & O'Neill (1979), have ocellar setae III arising within the triangle just anteromesad of the hind ocelli in the position indicated for F. konoi by those authors, not on the anterior margins of the ocellar triangle as illustrated to F. davidsoni. Moreover, pronotal posteromarginal setae S4 are scarcely 0.5 as long (UCR 66-251) or about 0.7 as long (UCR 60-287) as setae S2 , in contrast to the illustration and key. 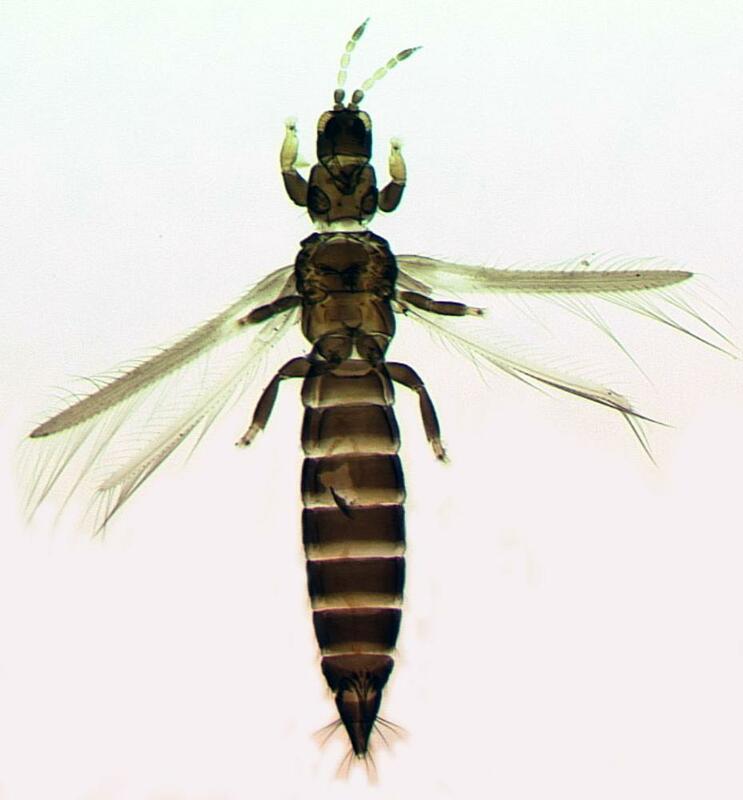 F. davidsoni is one of the 24 species recognized in the F. minuta group (Sakimura & O'Neill, 1979), in all of which the major setae are unusually small. These species are particularly associated with flowers of Asteraceae, and are known mainly from South and Central America and western USA. Currently 230 species are listed in the genus Frankliniella, with up to 130 further names placed into synonymy (Nakahara, 1997). This high rate of synonymy has been due to the previously unrecognized variability in size and color of so many species.